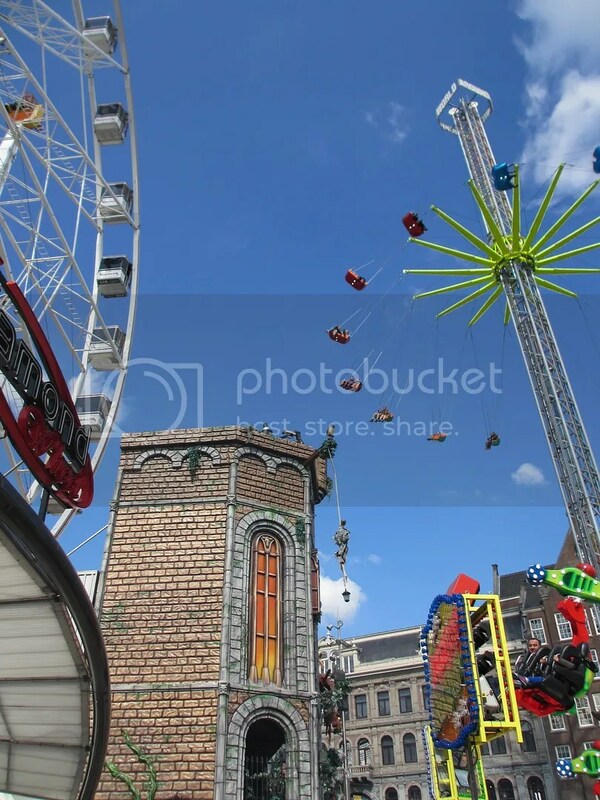 Did you know there’s a moving Fair? 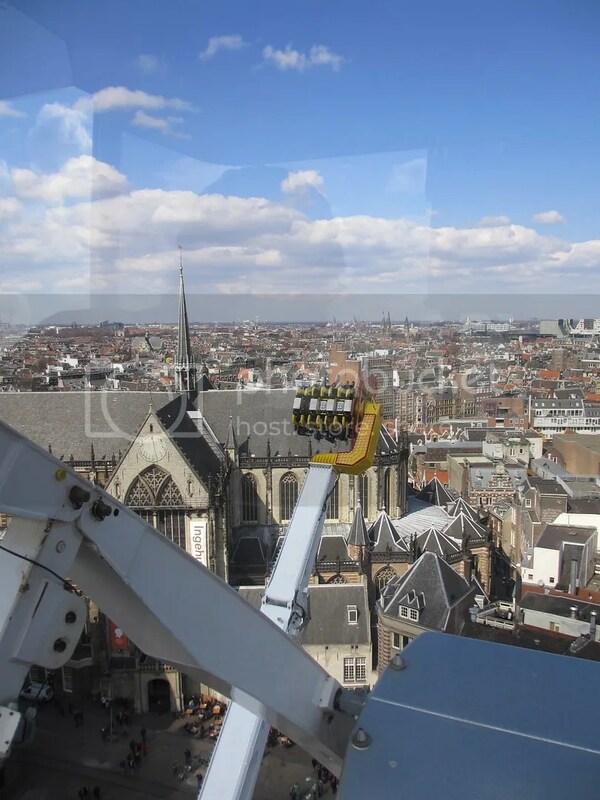 It’s called Kermis, and you can track its progress around Holland here. 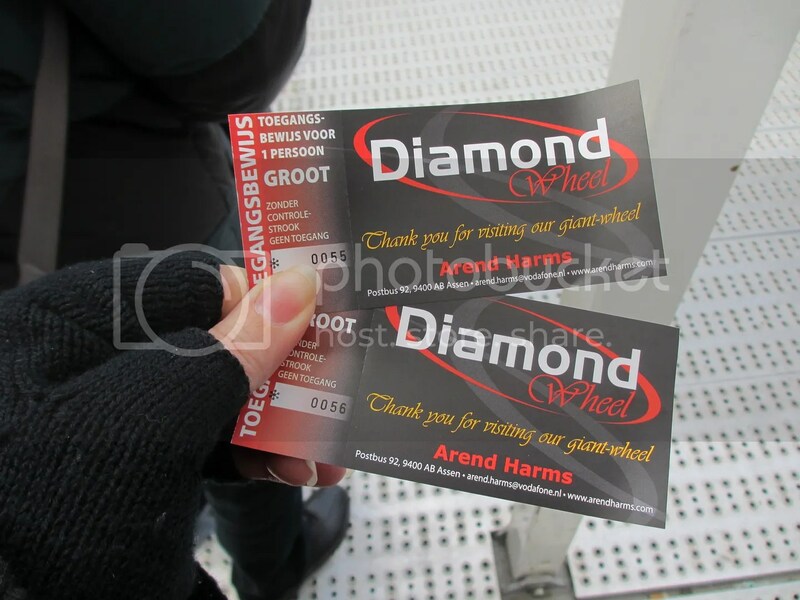 And we went! 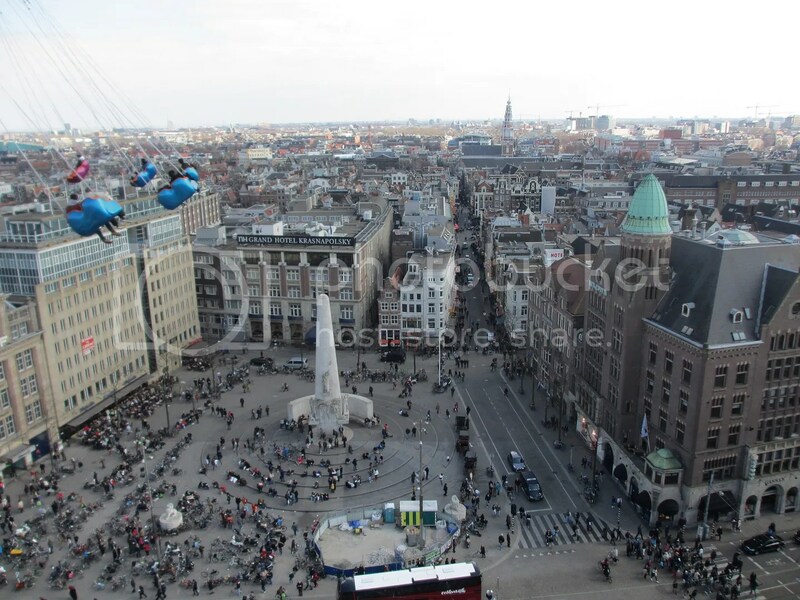 It was in Dam Square! You can’t keep me away from a fair! 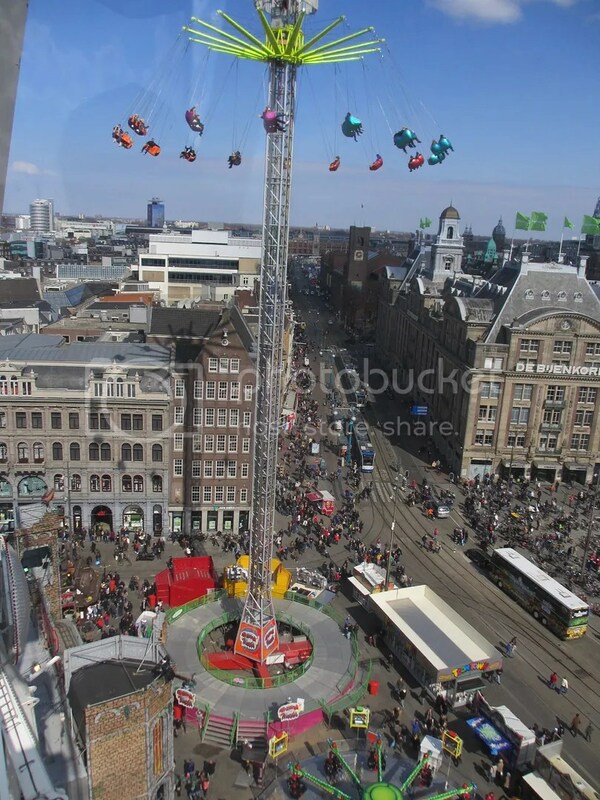 But I was a bit sick, so we only went up on the Ferris Wheel, as I think spinning around, upside down, in 3C, with wind-chill factor, and no hat, wouldn’t have done my blocked ears or head cold much good. We watched other people be upside-down on the fun rides though. Swinging through the cold air. They all looked like ants from up there! I’d like to point out at this point too, in those last few photos, check out how utterly deadpan flat the landscape is. *nods* Yep. Holland. 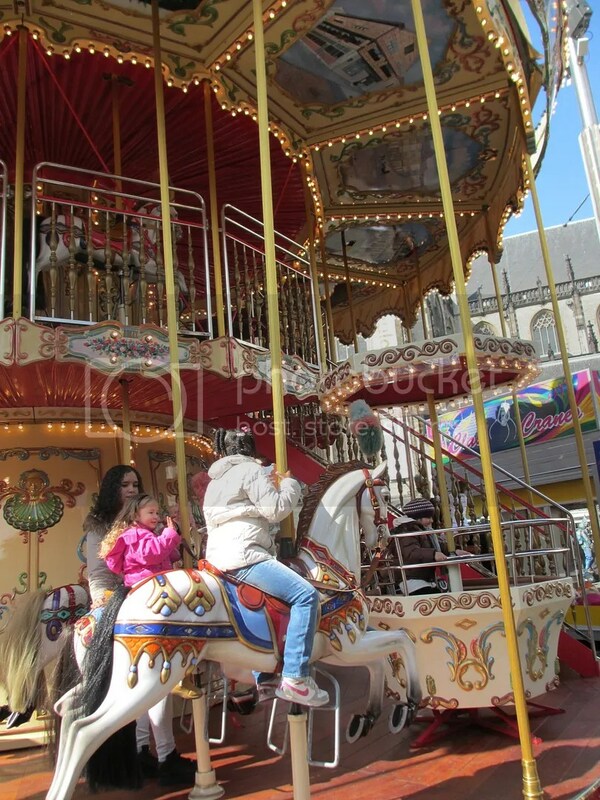 There was a two story carousel too! And Himself offered to go on it with me, but I was wise to his tricks! I knew he just wanted to race me again but take the inside track so he’d beat me this time! We didn’t go on, therefore I remain victorious from our last race in Montmartre! Himself went through the Haunted House without me. 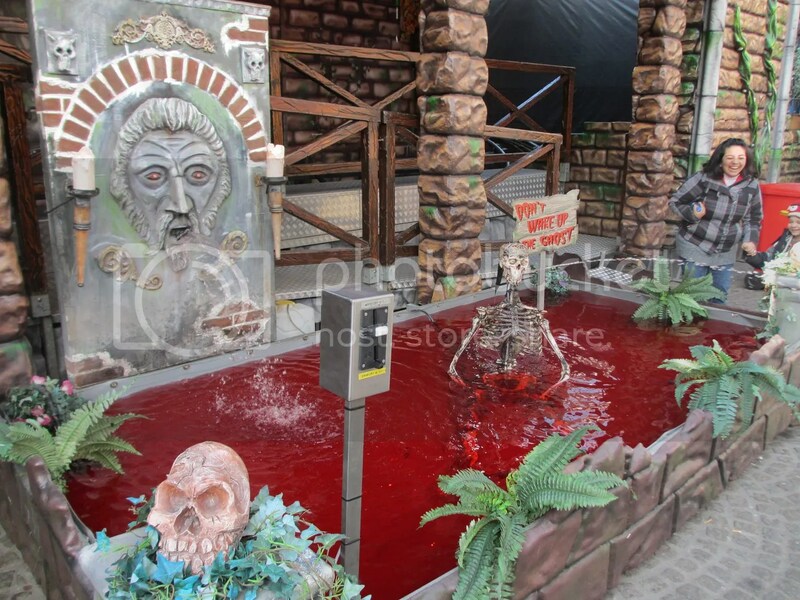 I was feeling a bit under the weather, and was being amused by watching the anamatronic skeleton spit water at unsuspecting passers by. 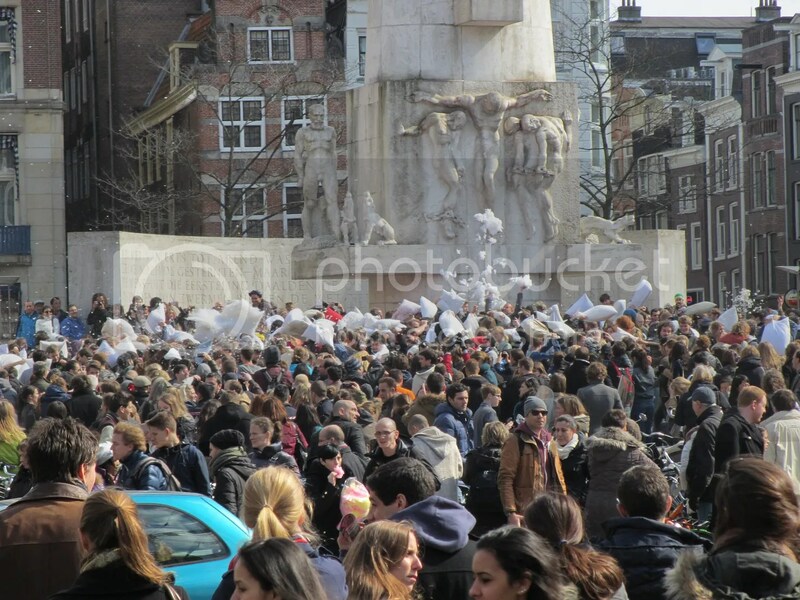 Opposite the Dam, under the Monument seemed to be playing host to the world’s largest pillow fight. As much fun as this looked like, Himself and I opted to pass on by this particular event, and go sit in a café to watch the stragglers leave the fight covered in down. A good day all ’round really!